Q: Do your GizzMoVest cases float? 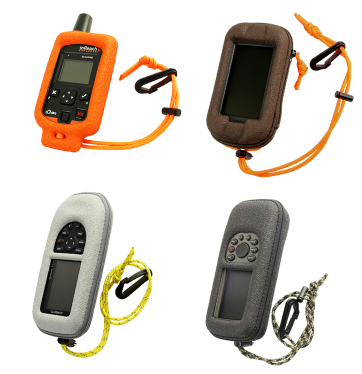 A: Only our GpsMap 78, GpsMap 76 and InReach Cases float, with the following stipulations; IF the standard LITHIUM Battery Packs are used. All of our other cases do NOT add flotation. However it is possible to add a Boater's Floating Keyfob to the Lanyards. Make sure the fob you choose will add enough floatation. IMPORTANT: Make sure your GPS unit's Rubber Flaps are in good shape and secured properly before using any GPS in potentially wet conditions. GizzMoVest does NOT recommend testing your unit's floatation. Although most Garmin Handheld outdoor GPS units are waterproof (according to Garmin and Delorme), your results may vary. Q: How do I turn on my Garmin Montana protected with my new GizzMoVest case? A: The Garmin Montana, in our GizzMoVest, is activated right thru the case, but you have to nudge the Zipper Slider up first. We placed the staple directly over the power button for this purpose the staple itself is only on the exterior (on the zipper) so the staple does not touch the power button. It merely marks where to push. 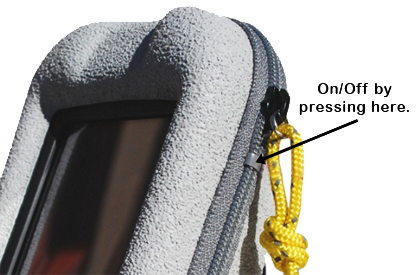 The Zipper Slider itself acts like a safety because the unit will not easily power on unless the little staple below the slider is pressed directly. Q: How do I remove the belt clip on my GizzMoVest case? 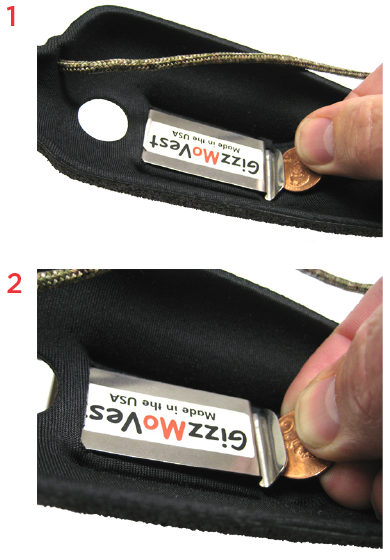 A: The metal belt clips on most GizzMoVest cases can be removed with a coin (a US quarter works best). 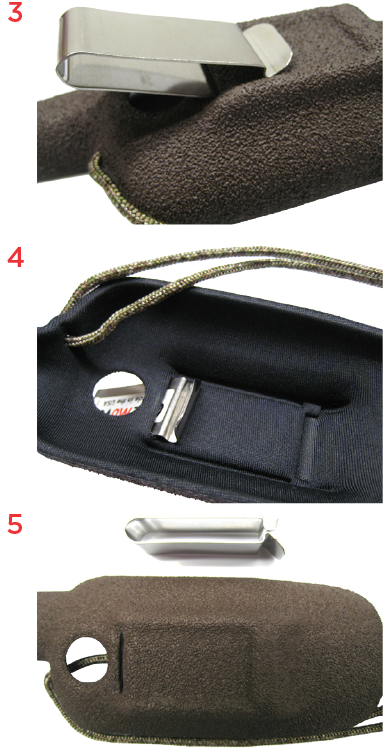 Follow the these steps for belt clip removal that applies to all our GizzMoVest models with belt clips. Q:How do I know if I have the correct GizzMoVest for my device? A: Each model of GizzMoVest is a precision molded fit for each model of handheld. If you have any fit issues then you probably have the wrong model of case. The photo on the left shows some differences between the GizzMoVest's for the Astro 220, 320 and Alpha 100. For Montana Users, make sure the Garmin Logo is showing thru the logo notch on the Montana GizzMoVest. 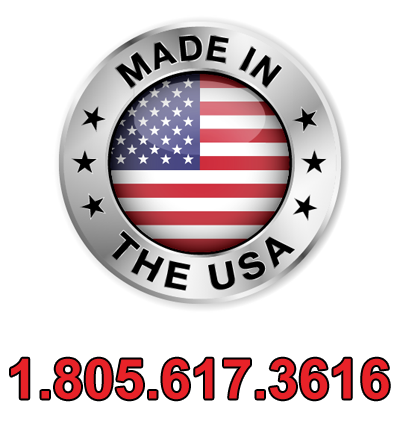 For eTrex and Dakota GizzMoVest's, make sure the indent notches of the GizzMoVest line up with the buttons on your unit. As stated above, On eTrex, Dakota and Oregon GizzMoVest's the wrist lanyard is at the bottom end of the case when reading the Garmin logo. NOTE: Sometimes there may be a Garmin accessory clip already attached to your GPS receiver. These types of clips must be removed for the GizzMoVest Case to fit correctly. 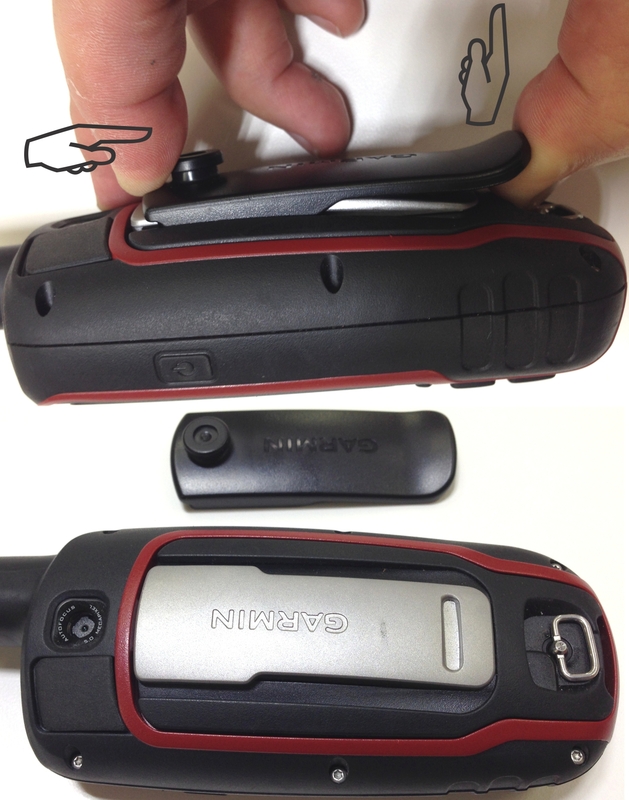 The Garmin Clips can be removed By lifting on the end of the 'Tongue' of the clip while sliding the clip Firmly towards the bottom end of the GPS Receiver as shown. This applies for the GpsMap 62 and 64, Astro 320, Alpha 100 And Rino 600 series. Q: What about high-visibility Colors? A: We offer some of our GizzMoVest's in a high visibility Hunters Orange and accessory Wrist Lanyards in many bright colors. Call or email for details. *Form Verification: ENTER 475482 IN THE FIELD BELOW.